If you thought being able to play the pokies online was a huge technological advancement, wait until you get your head around live dealer gaming. These sophisticated casino games allow us to place real money bets against a real dealer just like we would in a land based casino, all from your desktop or mobile. Read on to learn more about this premium casino software and the live dealer bonuses available for Aussie players. Essentially, a live dealer game is just like one you play in a bricks and mortar casino, but instead of physically sitting at the betting table and pushing your chips across, you do it all from the comfort of home via computer with your mouse or mobile touchscreen. 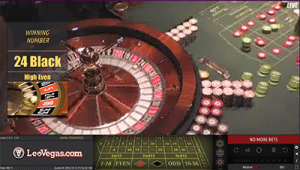 Live dealer games are hosted by real humans, with high-def video streams transporting the game to you in real time over an Internet connection. There’s no RNG (random number generated) software here, you get to physically watch as the dealer takes bets, deals cards and spins wheels, all while interacting with players via the video stream. What live dealer casino games are available? One of the first things you’ll notice when checking out live dealer games is unlike other RNG casino games which can be sampled for free in demo mode, live games require real money bets in order to play. If you’re a registered player with an online casino, you’ll still be able to log in to view the game, you just won’t be able to make a bet unless you have real money in your account. We recommend signing up with any of the safe casinos in our table above, making an AUD deposit using a trusted payment method like credit card, debit card, web wallet, prepaid card or bank deposit and taking advantage of the welcome bonuses on offer to boost your bankroll before playing live dealer games. The live dealer software is available for instant-play, so you can play games directly over your Web browser with no downloads needed. However, given the amount of data needed to stream these video feeds, a strong, dependable Internet connection is highly recommended, and you’ll need a Flash plugin if you want to view games in full HD. Live dealer games come with many customisable options, giving you the choice to adjust the camera views, the video quality and the audio settings. Many games now also come with a chat option if you would like to interact with other players or even the dealer, maintaining the social elements of playing at a bricks and mortar casino with the pleasure of playing from home. As live dealer gaming continues to grow in popularity, many of the best online casinos are offering all kinds of enticing live dealer bonus offers in a bid to get punters to play at their sites. These kind of bonuses were unheard of in the early days of live dealer gaming but have now become commonplace, and are available on top of the welcome bonuses on offer. As an example of the live dealer casino bonuses you can expect to come across includes the Live Blackjack Bonanza at 32Red where players could win an additional $10 every time they were dealt with a golden card while playing live dealer blackjack (available for non-Australian players only). Guts Casino also offers an ongoing Live Casino Cashback deal, where if you play at their live dealer casino on Friday, Saturday or Sunday, you’ll receive 10% cashback on all losses come Monday. These bonuses are just a sample of what the live dealer promos you may expect to find at our recommended casinos. Sign up for an account with any of our recommended live dealer sites to stay in the loop of any new bonus offers as they drop and make the most of this exciting new frontier in online gambling. Sign up to play the largest selection of live dealer games on the Internet at Royal Vegas Casino where new players can take advantage of up to $1200 in matched deposit bonuses to play with.